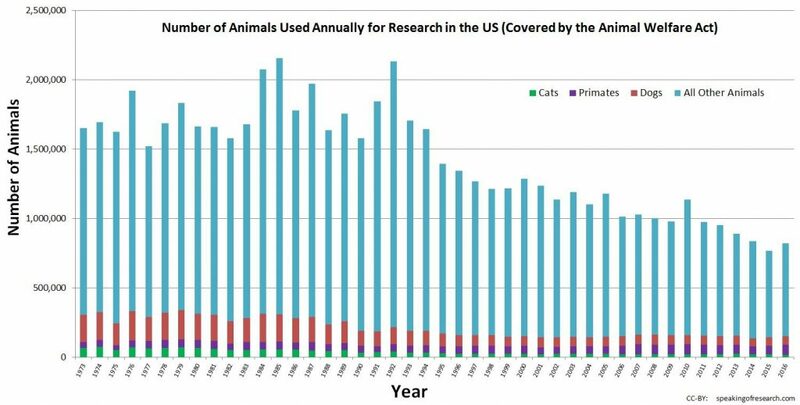 Supporting figures from the US Animal Welfare Act to indicate the recent increase in animal usage. A well-written article! I believe that in an ideal world, where illness didn’t stalk the land, animals wouldn’t have to be tested upon. Unfortunately, however, this world isn’t ideal so there is a place for animal testing where it provides a genuine benefit to mankind. Animals are helpful to mankind in many ways, but shouldn’t be abused. We should be caring and faithful stewards of this world, including all animals. Decisions regarding animal testing presumably have to be approached with sobriety, asking questions like, ‘are we using animals because they’re the simple option or the best option?’ and indeed ‘will the testing provide a genuine benefit to mankind?’ Furthermore, are the animals being viewed merely as things for our consumption, or as creatures to be stewarded?